Due to the ever-increasing need in the U.S. for broader access to better healthcare, the career outlook for medical billing and coding technicians is expected to grow at a rate of 16% through the year 2024, according to the U.S. Bureau of Labor Statistics. Online medical billing and coding programs prepare students for exciting careers in the growing field of healthcare, where medicine, management, and technology come together. Medical coding and billing professionals are essential to the organization and management of health information and data for the purpose of billing patients and securing reimbursement from insurance providers. Healthcare professionals, uniquely trained in one of only a few recession-proof fields, play a crucial role in the workforce today by caring for an aging yet longer-living population. Between 2010 and 2050, the number of people aged 65 or older is projected to grow from an estimated 524 million to nearly 1.5 billion around the world. In addition, more than 60% of the Baby Boomer generation is expected to have more than one chronic medical condition by the year 2030. All while national health spending continues its meteoric rise of 5.6% per year through 2025. Some estimates state it may eventually make up more than 19% of the entire country's gross domestic product (GDP). What Are The Best Online Medical Coding and Billing Programs? Request Information Herzing offers a diploma as well as associate's degrees in insurance billing and coding, designed to prepare students for careers as professional billers and coders in doctors' offices, hospitals, home healthcare settings, outpatient care centers, and nursing and residential care facilities. In addition to intensive multi-tier coding course work, the AAS degree curriculum emphasizes a strong understanding of insurance claims and processing, medical terminology, healthcare systems and ethics, and health information management. Students must complete an internship or research project during this course of study, and are prepared for Certified Coding Associate (CCA) certification through the American Health Information Management Association. Request Information Purdue University Global offers a medical billing and coding certificate online, designed to provide entry-level skills for technically minded job seekers suited to this field. Course work includes insurance billing, coding and terminology, data information processing, medical office management, and anatomy, physiology, and pharmacology, in a virtual lab environment. Students are eligible for numerous specialty certifications upon graduation, with the potential for additional certification once they gain professional experience. The program offers numerous start dates throughout the year. Request Information Keiser University's Associate of Science in Medical Administrative Billing and Coding prepares students for entry-level billing and coding employment. Students are introduced to computerized medical office management, anatomy and physiology with terminology and disease process, and medical law and ethics. In addition to immersive coding course work, students learn coding through case practice experience and complete an externship during the course of the program. Graduates are prepared to take the American Academy of Professional Coders (AAPC) credentialing examination at the apprentice-level. This is one of the top online medical billing coding programs in the nation. The program, which can be taken traditionally or fully online, requires 40-60 hours of professional practice experience, and upon completing it students will be fully ready to take the registered health Information technician (RHIT) exam offered by the American Health Information Management Association (AHIMA). While attending, you’ll participate in the American Health Information Management Association’s Virtual Lab, using cutting edge software to explore coding information for reimbursement and research, standards and regulations regarding health information, and managing medical records and health care information. Cowley College has a flexible program that allows students to learn at home on their own schedule. Both a vocational certificate and a AAS degree are available. The program’s instructor has been working in the field for three decades, and is available upon completion to aid in recommending employment opportunities for graduates of the program. Kansas residents are encouraged to apply for the limited scholarships open to full-time students in the Allied Health field. Those interested in continuing their education to the bachelor’s level will be pleased to know all credits from Cowley transfer over to the appropriate program at Southwestern College. Comprising 42 credit hours, Northwest Technical College offers an AAS degree in medical coding that instructs students in courses covering anatomy and physiology, pharmacology, U.S. health care systems, and medical billing and insurance. New students may want to explore the possibility of a medical coding grant. The Coding the Path from Poverty to Hope grant offers financial assistance for the purchase of a laptop and books, as well as expenses like internet, gas, and even childcare—perfect for the parent looking for a better environment for their children through a more stable job. The medical coding specialist program at Northland Community and Technical College is a 60-hour course that will earn you an AAS—perfect for a job in medical coding. The program is available on-campus or online, though the schedule of courses varies somewhat depending on the manner in which you participate in the program. Accredited by the Higher Learning Commission of the North Central Association of Colleges and Schools, students will explore everything from basic computer technology to cultural diversity in this course of study. If constant access and communication is what you’re looking for as you pursue a degree in medical coding, Community Care College is the place for you. Instructors are always available for guidance via phone, email, text, chat, Skype and in person. Over the course of study in the 100% online program, students will master coding in the ICD-10, the standard set by the World Health Organization. The program can be completed in as little as 11 months. At Central Maine Community College, you can earn both your AAS and a Certificate in Medical Coding and Electronic Health Records. The former requires a minimum of 62 credit hours, the latter 32 credit hours. Graduates of this program have the requirements necessary to sit for the certification examination, and, upon successful completion of the exam, the individual is eligible to become a Certified Professional Coder. Students can go through the program completely online. The program is a well-rounded set of courses offering business math, intro to psychology, and health information technology. After attending the 64-credit-hour AAS program at Highland Community College, students will be prepared to sit for the Certified Coding Associate (CCA) exam administered by AHIMA. The program generally takes two years to complete as a full-time student, and the entire course is offered online for the busy scholar looking to enter the lucrative field of medical coding. The courses offered delve deep into in the industry, exploring everything from ethics to the classification of diseases. Students entering the medical coding program at Minnesota State College-Southeast Technical will be well-prepared as they learn their trade using real hospital documents in their training. Offered online, in person, or a combination of the two, students will have access to professors with decades of experience in the field. The campus’ long associations with local hospitals and other medical industries may be especially beneficial to Minnesota residents, making transitioning from student to employee a snap after graduation. It takes 60 credit hours to complete the AAS program at Central Texas College, but every one of the credits is worth it. Students will complete a solid range of courses designed to prepare them for a medical coding career, including everything from business English to basic pathophysiology, among other topics. Cosumnes River College offers a degree path in health information technologies that will launch you into one of the fastest growing occupations in America. Their online program can take you through an AAS degree or a health information coding specialist certificate. Courses include health statistics, computerized health information systems, and continuous quality improvement. Columbus State Community College can help you get a medical coding certificate or an AAS. The certificate program is offered as either a fully-online course or as a blend of traditional and internet coursework, though occasional attendance on campus or through proctors (for testing) is also required. For the medical coding certificate, principles in ICD-10-CM/PCS, CPT coding, and third-party reimbursement will be emphasized. Students enrolled in the medical coding certificate program are also required to attend professional practice experiences (PPE) throughout the semester at assigned healthcare facilities. If you want to complete your degree as soon as possible and get started in a medical coding career early, consider the program at the University of Alaska Fairbanks. The university’s 13-credit-hour course will net you a Medical Coding Occupational Endorsement, accredited by the Northwest Commission on Colleges and Universities. The program accepts applicants as young as 16-years-old, giving dedicated young people a leg up on a very safe and stable career. Perhaps best of all, the entire program costs just $3,193. Comprising 18 credit hours and a little over a year of study, Drexel offers a certificate in medical billing and coding. This online certificate program is designed for those who want to begin medical billing, coding, and medical record auditing careers or prepare for certification exams in these areas. Students will learn the principles of medical billing and coding related to the industry’s main coding manuals: CPT, ICD-10-CM, ICD-10-PCS, and HCPCS. The curriculum covers principles of medical billing and coding for inpatient and outpatient facilities. It’s one of the longer medical coding certificate programs, but this option offered by Lanier Technical College dhttps://www.laniertech.edu/AcademicPrograms/flyer.aspx?id=102oes offer a great path into the industry. Students typically spend three semesters and 29 credit hours obtaining their certificate. Students can start as young as 16-years-old with a GED or high school diploma, and the program is available completely online. Offered on campus or online, students who complete the medical coding specialist program will be well-prepared to sit for various national certification exams through the NHA, as well as some additional national certification examinations through AHIMA or the American Academy of Professional Coders, once they have completed some professional experience along with all necessary coursework. An introduction to basic computing class is required for admission. An AAS degree path will also require general education courses from three goal areas, while AS degrees require general education from six goal areas of MN Transfer Curriculum. Make sure you speak with a college advisor to help set the best path for you. This is one of the more robust programs, but worth it. A Certificate of Applied Science in Medical Coding can be obtained with 31 credit hours of campus instruction, or 32 credit hours of mixed online and face-to-face (hybrid) instruction. Courses cover medical terminology, foundations of human biology, and a capstone project. An interview with a faculty advisor is recommended before deciding which path works best for you. The healthcare coding specialist certification program at Hutchinson Community College comprises 45 credit hours. Some of the more notable courses that students will tackle include microcomputer applications, pathophysiology, and a coding lab. Generally, three semesters are required to complete the full sequence of courses. Dakota State University is a great stepping stone toward a long-term career in medical coding. The certificate program paves the way for an associate or bachelor’s degree in the health information technologies, making it a fantastic place to set down roots for growth in the industry. Many relevant courses will transfer directly into these programs—saving you time and money if you decide to continue your studies. The certification program will prepare graduates for the American Health Information Management Association’s (AHIMA) certified coding associate exam. You may then take additional exams to become a Certified Coding Specialist (CCS) or Certified Coding Specialist-Physician-based (CCS-P). You can earn multiple medical coding and billing qualifications at Southwest Wisconsin Technical College. This institution’s top-notch programs are ideal for entering the industry. An associate degree will require some 60 credit hours to obtain, while various certifications and technical endorsements will be slightly less intensive. All in all, the programs offer a wide variety of paths, depending on your needs and chosen manner of expanding your career prospects. Weber State University’s healthcare coding certificate program comprises four semesters. Over the course of the program students will receive the same education they would get in a classroom, online. Courses include introduction to pharmacology, diagnosis coding, and medical terminology. Students are required to complete a background check, drug screen, and proof of immunizations before taking PPE courses (HIM 2861 and 2862) and completing an internship (HAS 4860). The Certificate in Medical Coding at Charter Oak State College is designed for students who are interested in the profession of medical coding and wish to earn a medical coding credential from AHIMA or the AAPC. The program is considered mid-range in terms of length, requiring just 21 credit hours, and lays the groundwork for a solid education and successful career in the industry. Comprising just two semesters, the Certificate of Achievement in Professional Medical Coding and Billing at Great Basin College is a brilliant deal. GBC is an academic partner with Career Step, located in Springville, Utah, delivering all MCOD courses online and making pursuing your certificate through the internet a snap. The program includes some courses that can be bypassed with a certificate of achievement; be sure to inquire about them if you’ve had any previous educational experience and may have potentially transferable credits. The medical coding and billing specialist program at Gogebic Community College leads to a certificate and generally takes two years to complete. Students in online classes need only a computer system, internet access, word processing program, and email accessibility as these are the tools necessary to be successful in an online course. Courses include disease process and pharmacology, medical office procedures, and fundamentals of computer applications. The program comprises 42 credit hours. Barton offers a certificate in medical coding comprising 44 credit hours and roughly three semesters of study. The program is designed to impart expertise in ICD-9, CPT, and HCPCS coding systems. In addition to coding procedures, the curriculum includes medical and professional courses for employment in a professional setting. This medical coding undergraduate certificate program prepares students for challenging coding positions in hospitals, clinics, ambulatory surgery centers, insurance companies, and other settings in which diagnostic and procedural data are coded for reimbursement purposes. This certificate program is designed to be completed fully online, and most credits in the certificate program are applicable to the Associate of Science in Health Information Technology. Graduates of the medical coding program at Ogeechee are qualified to sit for certification examinations through the American Health Information Management Association. Exams include the CCA (Certified Coding Associate), CCS (Certified Coding Specialist), and the CCS-P (Certified Coding Specialist, Physician-based). Applicants must be at least 17-years-old, however, unlike most other programs, are not required to have a degree in order to get started. They must simply meet minimum score requirements on the ACT ands SAT. The total cost of the program is $4,221, although this is subject to change. Sinclair Community College offers a certificate in medical coding, comprising 23 credit hours. Through this program, students will develop skills to accurately determine diagnostic and procedural code number assignments that impact medical reimbursement. Skill sets include application of ICD-10-CM, CPT, and HCPCS coding systems, as well as medical terminology, anatomy and physiology and disease processes, processing insurance claims, and reimbursement practices. Move into the medical industry of the 21st century with a Bible-based program at Presentation College. Certificate courses are available completely online and are accredited by the Higher Learning Commission. Certification in medical coding can be obtained through 35 credit hours of study from Cincinnati State Technical and Community College. Courses include international classification of diseases, current procedural terminology, and electives, and are designed to help students successfully acclimate to the college experience. It’s an ideal program for students looking to start slow and enjoy a long and satisfying career. Medical billing and coding is a crucial element of the healthcare process in America today. For every diagnosis given, treatment prescribed, or service performed by a healthcare professional, there is a corresponding code used for billing purposes. Where communication between healthcare providers and insurers is its own language, medical billing and coding professionals serve as its translators. Each of the services described by a particular numeric or alphanumeric code is also documented in a certain order on that patient's bill, such as one that signifies a pre-existing condition. Medical billing and coding professionals are responsible for properly coding all services rendered by the physician and preparing and processing claims for payment to both the insurance company and the patient. Both processes are of equal importance, and rely on the other to complete the medical claims and billing process as we know it. Medical coding comes first, and is the process of assigning an established code to each service provided by the physician and inputting the codes into a form or digitized system. Medical billing is the second part of the process, in which a medical biller uses the information from the coder to create a claim, or bill, for services rendered. The bill is first sent to the insurance company, which will evaluate how much it is responsible for paying and return to the biller, who then charges the patient for their part of the payment due. Why Become a Medical Billing and Coding Professional? Why Is Medical Billing and Coding Important? As the universal language among healthcare providers, insurance companies, government agencies, and other health organizations, the process of medical billing and coding is part-and-parcel to healthcare today. With most healthcare practices adopting or in the process of transitioning to fully digitized electronic health records (EHR) systems, medical billing and coding professionals with knowledge of the latest software and field updates are essential to the industry. Learning medical billing and coding online can not only help students to adapt to new EHR technology but also stay ahead of the curve when it comes to annual ICD code updates and other frequent diagnostic changes within the field. A career in medical coding and billing requires an education beyond high school; candidates earn at least a certificate, and often an associate's degree, in this major. Certificates, degrees, and individual online medical billing and coding courses are now available at schools nationwide. Students interested in non-clinical roles in healthcare are ideal candidates for studying medical billing and coding online; graduates are eligible to become health information technicians, medical records managers, physicians' office administrators, and more, earning an average annual salary of $37,110. To advance in the field, earning a formal degree is the best method. Some medical coding professionals have an associate degree in the field, while others have a bachelor’s. The degree you hold will likely have an impact on your earning potential, so seeking more than a certificate in medical coding and billing has many positives. Those with advanced certification in a particular area of electronic health records (EHR) management should find even greater opportunities available to them as records systems become increasingly digitized. The American Medical Association is just one example of a national institution aware of the growing necessity for medical billing and coding professionals across the country, offering a variety of workshops, meetings, and educational resources to advance continuing education in the field. Medical billing and coding online certificates introduce learners to foundational topics, including electronic records management, medical insurance, and medical administrative techniques. After completing a medical coding certification online program, professionals are qualified to sit for the Certified Billing and Coding Specialist, Certified Professional Coder, and Certified Coding Associate exams before pursuing entry-level roles as a medical billing and coding specialists. Most programs require four and 12 months to complete and include a practicum at an approved facility. Most full-time students complete associate degrees in medical billing and coding online in two years. Associate programs are broader than certificate programs and including medical billing and coding online courses in areas such as medical finance, diagnostic and procedures coding, and medical reimbursement systems. Students also take general education courses. The American Health Information Management Association requires candidates for the Registered Health Information Technician credential to hold an associate degree, so an online medical billing and coding associate program is ideal for students who aspire to managerial roles. Online medical billing and coding bachelor's programs are typically called health information management or healthcare administration programs. These degrees provide a wide range of medical billing and coding online courses to prepare graduates for a variety of roles in the field. Students complete courses in coding, healthcare law, and healthcare data and enroll in management classes to prepare for leadership positions. Graduates are qualified to sit for the Registered Health Information Administrator exam and often pursue careers in settings such as health systems, clinics, hospitals, insurance companies, and public and community health agencies. A master’s in healthcare management incorporates more in-depth studies than a medical billing and coding online certificate. Most full-time students complete master's programs in one year. Curricula typically cover providers and payers, healthcare financing, and healthcare innovation and evaluation. Online learners complete extensive capstone projects during which they apply classroom knowledge. Graduates often become healthcare executives who lead teams in public health departments, clinics, hospitals, insurance firms, and physician practices. What Will I Learn in an Online Medical Billing and Coding Program? Medical billing and coding online programs train students to translate medical diagnoses, treatments, procedures, and services into a special alphanumerical code. Medical coding professionals use this special code to translate documents such as lab reports and results, physician’s notes, and medical charts. Just like learning a new language, learning medical coding takes a great deal of special training and focus. Online medical billing and coding courses are designed to teach students the special code and how to use it in a number of different situations and scenarios. Below are a few examples of courses you might encounter in an online medical billing and coding certificate or degree program. This course generally focuses on the ICD-10-PCS coding system and learning the codes necessary for transcribing information related to medical procedures. This class covers a range of software and operating systems used in medical offices. These systems may be software that handles billing, appointments/scheduling, and records. In this class, students learn basic medical terminology that will help them understand the things they will eventually be coding. This course is intended for non-clinical medical professionals and focuses on reading, writing, and pronouncing the medical terminology. Medical coding and billing professionals encounter private patient information. This course prepares students to handle this sensitive material in an ethical manner and how to comply with policies and mandates in place to protect patients and their information. This course follows the guidelines and conventions of the World Health Organization in teaching students to code things like illnesses and injuries. Students also learn the importance of detailed medical reports. Although earning medical coding certification online is not widely required for positions in the field, the rate at which the field is growing could lead to more formal certification requirements. The American Academy of Professional Coders found that Certified Professional Coders earn approximately 20% more than medical billing and coding professionals who are not certified. American Academy of Professional Coders: This organization offers three types of specialized Certified Professional Coder certificates. American Health Information Management Association: AHIMA offers the Certified Coding Associate and Certified Coding Specialist certificates and the Registered Health Information Technician and Registered Health Information Administrator credentials. Board of Medical Specialty Coding and Compliance: This organization offers the Special Coding Professionals and Advanced Coding Specialists certificates. Professional Association of Healthcare Coding Specialists: PAHCS awards the Certified Basic Medical Coding Specialist certificate. What Can I Do With an Online Degree in Medical Billing and Coding? According to the Bureau of Labor Statistics, jobs in medical billing and coding are growing at a higher rate than many other career fields. While only a certification is required to work in this field, holding a higher degree may affect the type of job that professionals can get, and also how much they can potentially earn. Below are a few examples of careers in medical billing and coding and what those jobs entail. Medical coders translate medical documents, such as patient files, doctor’s notes, and procedure notes, into a special alphanumerical code. These professionals work on computers and with paper files and usually interact with physicians, nurses, and other health technicians on a daily basis. Medical billing professionals work in a variety of settings, including physician’s offices and hospitals. They are responsible for calculating medical bills based on services rendered and making sure those payments are collected. They work with insurance companies and patients. They also have a strong understanding of government programs such as Medicare and Medicaid. A medical billing manager oversees a group of employees who handle the billing and payments in a medical setting, including hospitals and private physicians’ offices. These managers may also work with patients to create billing plans, especially if a patient is faced with an especially large financial burden. These professionals most often work in large medical organizations, including hospitals, medical centers, and clinics. They work with a large number of patients and oversee billing staff members. They may also manage budgets within the organization. Medical coding auditors oversee the work of other medical coders in order to check it for accuracy. Sometimes, these auditors are private, freelance contractors hired by medical organizations. They make sure that all coding is accurate and that it is completed efficiently. An online medical billing and coding program will prepare you for a number of exciting and lucrative careers. Medical billing and coding online degree and certificate programs will provide you with the skills and qualifications you need to succeed in this growing and in-demand field. In the table below, you will find a few examples of potential careers in medical billing and coding and the median salaries that professionals can expect. While many schools offer students the opportunity to master medical billing and coding online, all programs are not created equal. Diversity among course topics is expected, even welcome, as one of the perks of attending a medical billing and coding school online, however there are a few signs to look for when considering the best program for you. As always, make sure the program is accredited by a reputable agency; specialized accreditation in this field, like from the Commission of Accreditation for Health Informatics and Information Management Education (CAHIIM) or the American Academy of Professional Coders (AAPC), is especially desirable. Any comprehensive medical billing and coding program should also include multiple courses in information technology and/or computer systems, as this is a major component of this occupation. Additionally, while not all employers require certification in addition to an associate's degree, many prefer it. It can only benefit your experience to choose a program that provides training and preparation for certification exams given by the AAPC or the American Health Information Management Association, for example. Which Medical Billing & Coding Degree Level Is Best for Me? According to the Bureau of Labor Statistics, the requirement for entry-level online medical billing and coding professionals is a postsecondary non-degree award, such as a certificate or diploma. Some organizations require only a high school diploma and relevant work experience. However, career advancement in the field requires higher levels of education, such as a bachelor's or master's degree. Advanced education results in more opportunities for professional advancement and higher salaries. Degrees beyond the associate level require broader studies. Bachelor's and master's programs are not ideal for individuals who are only interested in medical billing and coding, as both explore managerial topics related to many facets of the healthcare industry. Professionals who aspire to advanced managerial roles benefit from the broad perspective and comprehensive knowledge. Students should consider their professional goals when choosing an academic program. Accreditation is an important factor to consider when researching online medical billing and coding schools. When a school is accredited, it means that an accreditation agency has verified that the school and/or specific program meets a certain set of educational standards. Specific majors and fields often have their own accreditation agencies that verify a program’s quality beyond the overall accreditation of the institution. Medical coding and billing online programs are often accredited by the Commission on Accreditation for Health Informatics and Information Management. This organization enforces certain standards in health information education, including online medical billing and coding programs. When researching medical billing and coding schools online, you should look for this accreditation. The Healthcare Information and Management Systems Society (HIMSS) offers merit scholarships to students enrolled in bachelor’s, master’s, and Ph.D. programs in healthcare information systems. Students in online medical billing and coding programs may apply after completing 24 credits in their program. Recipients receive $5,000 and a trip to the annual HIMSS conference. The American Health Information Management Association offers scholarships ranging from $1,000 to $2,500 to students enrolled in health information system management programs at all levels. Students must have completed a minimum of 24 credits toward their degree before applying and must have maintained a minimum 3.5 GPA in those courses. Applicants must also be members of the AHIMA and be enrolled in at least six credit hours, with at least six credit hours left to complete their program. The Association of Schools of Allied Health Professions offers a $1,000 scholarship to eligible students attending programs at its member schools. The student’s institution must nominate them to be considered for this award, and the student must have completed at least one full term successfully. Applicants submit a resume and a one-page essay to apply. The Association of University Programs in Health Administration awards $40,000 annually to two students of color who are pursuing or who plan to pursue a master’s degree in healthcare administration at an AUPHA member school. AUPHA dispenses two payments to recipients over two years. The Heartland Foundation offers this award of varying amounts to full-time undergraduate and graduate students enrolled in health- or healthcare-related programs. Applicants must live in Iowa, Kansas, Missouri, or Nebraska. The National Association of Health Services Executives provides this $2,500 award to nontraditional learners who aspire to leadership roles in healthcare administration. Applicants must demonstrate leadership and academic excellence. ICD - International Classification of Diseases, a type of code. CPT - Current Procedural Terminology as determined by the American Medical Association. HCPCS - The Healthcare Common Procedure Coding System, often pronounced "hick picks" according to its acronym. CM - Clinical Modification; listed as "CM" at the end of a line of updated code or used to indicate a revision to the ICD, such as in the latest tenth revision (ICD-10-CM) in 2016. CMS - Centers for Medicare and Medicaid Services. NCHS - National Center for Health Statistics. E-codes - Used to indicate an injury, poisoning, or adverse effect due to an external cause, such as a bad reaction to a drug. V-codes - Describes a patient visit for a reason other than disease or injury, such as a person with a live-born infant or unspecified risk due to family history. Category - When referencing medical billing and coding, there are three categories within the CPT code set: Category I (the largest and most commonly used) describes medical procedures, technologies, and services; Category II is used for performance management and additional data; Category III houses the codes for emerging and experimental medical procedures and services. E/M - Evaluation and Management; code used for varying types of physician-patient encounters. Modifier - Used to alter or describe a compound medical service or supply. Modifier-exempt - A code for a single, straightforward service that is not eligible for an "add-on" or extension descriptor. Pathology - The science of disease, including its causes and effects. Subcategory - In ICD codes, the digit after the decimal point that describes the nature of the illness or injury, and possibly its location or area of manifestation. Subclassification - An extension of the subcategory descriptor, further describing the manifestation, severity, or location of an injury or disease. Technical component - describes only the technical aspect of a medical procedure. Z-codes - Similar to v-codes; indicate a reason not due to immediate illness or injury for a patient to visit a healthcare professional. 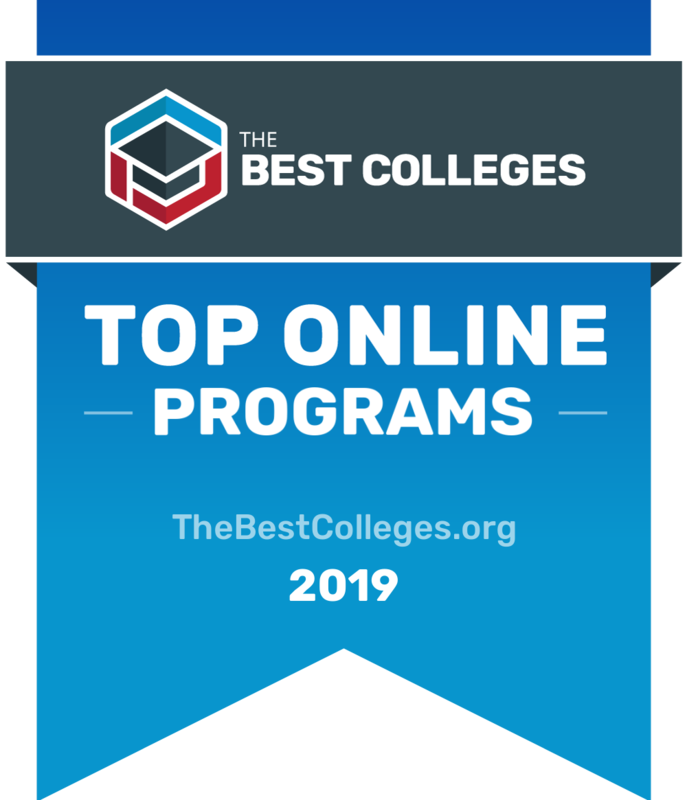 To determine the best online Medical Coding and Billing programs, we looked at the most important factors prospective students, mainly common predictors of future success and a school's commitment to online programs. This boils down to admissions rate, student loan default rate, retention rate, graduation rate, and the percent of students enrolled in online classes. All data points are taken from information provided by colleges and universities to the National Center for Education Statistics. Each factor is weighted evenly in order to give an objective view and determine the best online Medical Coding and Billing programs. To calculate our rankings, we looked at a school's ranking when organized by a single factor, and then averaged each category's ranking to find an overall score: Admissions Rate (20%) + Default Rate (20%) + Retention Rate (20%) + Graduation Rate (20%) + Percent of Students Enrolled in Online Classes (20%) = Final score.